A study published in the journal, Residential Treatment For Children & Youth, examined the effectiveness of Devereux's Safe & Positive Approaches® (S&PA) training curricula in the reduction of injury and restraint. Several data points were collected including utilization rates of restrictive interventions, number of youth injuries, number of staff injuries, and whether the program/organization is a user or non-user of S&PA. The results demonstrated statistically significant differences between S&PA users and non-S&PA users in utilization rates of restrictive interventions, youth injury, staff injury as well as significant and positive correlations between restraint utilization and related injury. Russell, M., Maher, C., Dorrell, M., Pitcher, C., Henderson, L. (2009). A Comparison Between Users and Non-users of Devereux's Safe and Positive Approaches® Training Curricula in the Reduction of Injury and Restraint. Residential Treatment For Children Youth. 26 (3) 209-220. Cathy Maher has been on staff at the Devereux Institute of Clinical and Professional Training and Research (ICPTR) since 1993 and serves as director of Direct Care Training Resources. She is a graduate of Pennsylvania State University and received her Master of Education degree from Temple University. Cathy began her professional career at Devereux where she gained direct care and supervisory experience delivering therapeutic recreation and habilitation services in a residential treatment setting. Prior to joining ICPTR she assumed a corporate role on Devereux’s National Human Resources team as national training specialist. Cathy is a master trainer with expertise in the assessment, development, implementation and evaluation of evidence-based training programs and resources. She has developed and conducted a wide range of basic and train-the-trainer programs for human service, educational and behavioral health professionals. Cathy is the principal developer of Safe and Positive Approaches® and Supportive Behavioral Supervision: Tools & Strategies for the Supervision of Direct Care Staff. She is a co-author of New Directions: Essential Skills for Direct Care Professionals and The Supervision of Safe & Positive Approaches. She was a participating member of the Child Welfare League’s National Task Force on Behavior Support and Intervention Training. She has worked directly with more than 150 organizations nationwide. 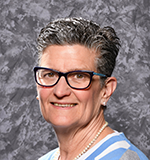 Cathy’s primary areas of interest include the reduction and elimination of restraints, active learning methodologies, and the application of organizational behavior management practices that improve staff performance. Gina’s career at Devereux includes direct care and supervisory experience in a variety of treatment settings serving youth and adults with developmental and behavioral challenges. She has served as program supervisor, center trainer, as well as coordinator of staff training and development. Gina has developed and conducted a multitude of training programs for direct care, educational, supervisory, clinical, and community-support personnel. Gina is an instructor of trainers with extensive experience conducting basic and train-the-trainer programs, both internally and externally, in Safe & Positive Approaches®, New Directions and QPR for Suicide Prevention. She is a co-author of The Supervision of Safe & Positive Approaches. Gina is certified by the nationally-recognized QPR Institute as a QPR for Suicide Prevention Master-Trainer. Gina is a participating member of P.R.I.M.E. (Partners Reaching to Improve Multicultural Effectiveness), a state-wide cultural competency initiative; and she co-chaired Devereux's national clinical cultural diversity task force. Gina is a current member of the PA Chester County Suicide Prevention Task Force and she chaired the county’s suicide prevention/intervention sub-committee. Gina’s primary areas of interest include suicide prevention, cultural competency, trauma-informed systems of care, and the professionalization of direct care/direct support staff. David Lockwood has been a member of the Devereux Direct Care Training Resources team since May 2015. He earned a Bachelor of Science degree from Millersville University and a Master of Education degree in Instructional Systems from Pennsylvania State University. Dave has worked in the behavioral healthcare field in various youth-serving settings. In his early career he gained valuable hands-on experience in his roles as a direct care professional and staff trainer. Since joining Devereux in 1998, Dave has served as a group home supervisor, program manager, training and compliance coordinator, and behavior support manager at the Children’s Behavioral Health Services Center. Most recently, he served as a recruitment specialist and as the learning manager for the Children’s Intellectual and Developmental Disabilities Services Center. Dave has been actively involved in a number of workforce safety, compliance, and learning and performance initiatives. Dave has extensive experience developing and conducting training programs for direct care, supervisory and clinical staff, as well as expertise in eLearning course design. His numerous trainer certifications include Safe and Positive Approaches®, New Directions, QPR for Suicide Prevention and American Red Cross CPR & First Aid. Dave’s primary areas of interest are crisis prevention and intervention, personal safety and self-defense, safety initiatives, and online courseware development.